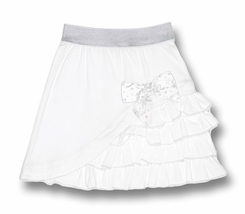 Fancy little ruffle skirt in white with silver lurex thread detail for extra sparkling magic. 95% cotton, 5% lycra. Imported from Holland.